and plenary panels led by Subha Mukherji (Cambridge) & Marco Sgarbi, Pietro Daniel Omodeo, and Craig Martin (Venice). Proposals should be sent to [email protected] by December 30th, 2018. The committee will respond by the end of January. 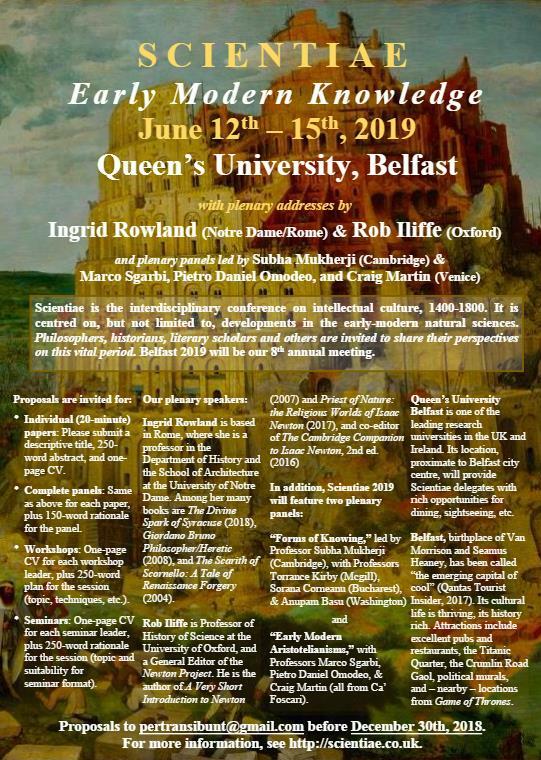 For more information, and the conference poster, see http://scientiae.co.uk.